Are you a Kbeauty lover like me? Always wanted to have a perfect Korean brows like the K-Pop / K-Drama artists? 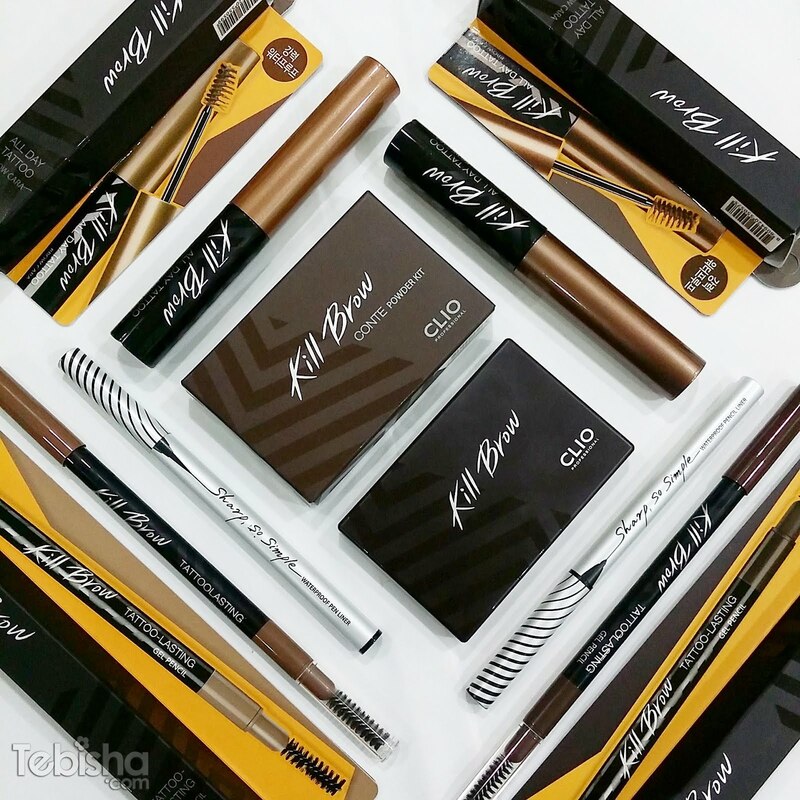 Clio Singapore has brought in a range of Kill Brow products this December for us to create Ulzzang brows and eye makeup! I will go through the all the products in this post, do read on for more details and reviews. Let’s get started on Brow products first! Depends on your preference, Clio has a wide range of brow products for you to choose from. If you are not expert in drawing brows, Clio Kill Brow Tattoo-Lasting Gel Pencil is great for beginner. It’s easy to apply, it enable us to create a natural and soft Korean brow look. Blend on smoothly, the natural shades are perfect for Asian skin tone, water resistant and long-lasting. I’m using No. 2 Light Brown on my brow, the screw brush helps to soften the shades and create neat brows. Clio Kill Brow Tattoo-Lasting Gel Pencil – $14.90 each available at selected Watsons stores. Now to define the brows and keep the eyebrow hairs in place. Clio Brow All Day Tattoo Brow Cara is a eyebrow mascara to shape our brows while adding a hint of colour with 24-hour tattoo effect. The dual-combo brush allows us to comb through the brow without creating clumps for perfectly defined and evenly coloured brows. Available in 2 shades: No. 1 Natural Brown & No. 2 Light Brown. I’m using No. 2 Light Brown above. Clio Brow All Day Tattoo Brow Cara – $17.90 each available at selected Watsons stores. If you prefer powder kit, Clio has launched the latest Kill Brow Conte Powder Kit for you to polish your brows like a pro! The compact kit is packed with all the brow knowledge you need; two brow shades, a fixing wax, a round blending brush, an angled brush and a comb. I was told by my brow artist, powder kit is easier to use than pencil, easier to control the shades and use the lighter hue to fill the the inner and outer contours of our brows. Apply the wax on the last step to lock the eyebrows and keep them defined for a more polished look. First time trying out Kill Brow Conte Powder Kit, hope my brow drawing techniques is still acceptable. Kill Brow Conte Powder Kit – $25.90 available at selected Watsons stores. After creating a perfect set of brow, eyeliner is another essential eye makeup product I can never live without. Clio has the best eyeliner in the market, my favourite will be their star product Clio Kill Black Waterproof Brush Liner. I’m excited that Clio has released 2 new waterproof liners this December, now I have more choices of Clio eyeliners to explore. With a soft flexible tip of 0.01mm, the Sharp So Simple Pen Liner allows for incredibly delicate definition along the lash line while delivering the intensive amount of colour. My reviews: I’m not a fan of heavy & thick liners, love fine tip eyeline, it allows me to draw neat and fine liner without any difficulties. Just 1 stroke, I’m done for my daily eye makeup look. Sharp, So Simple Pen Liner – $22.90 available at selected Watsons stores. The micro-fine tip of 2mm of the Sharp So Simple Pencil Liner lets you blend smoothly and easily for a softer, delicate look. My reviews: I used to love gel pencil liner a lot in the past cause it can create thick and neat liners perfectly. But as my age grows, I would prefer a thinner liner that’s the reason I switched to brush liner. After tried out Clio Sharp So Simple Pencil Liner, it makes me fall in love with gel pencil liner again. It’s super convenient to create dark liner with just 1 or 2 strokes. The smooth liner texture, it glides along the lashline easily. Sharp So Simple Pencil Liner – $17.90 each, available in Black & Brown at selected Watsons stores. My No. 1 brow and eye makeup brand, Clio Professional. Thank you Clio Singapore for the awesome products. 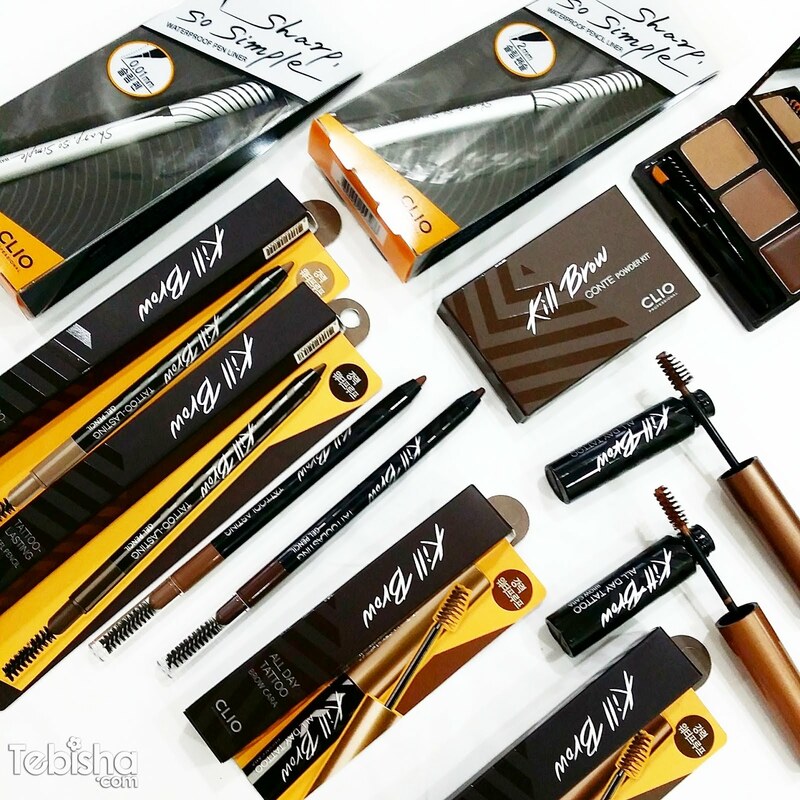 Do check out my previous post for Clio Tinted Tattoo Kill Brow, Virgin Kiss Tension Lip & Kill Cover Liquid Founwear Cushion reviews here.